You know you need dental work, but may be unfamiliar with certain procedures. You have heard of crowns and bridges, but are not sure of the difference. Some information can help you decide which is right for you. Crowns, also known as caps, cover natural teeth. There are a number of reasons to consider crowns. A natural tooth may be weak, fractured or otherwise damaged, or have a large filling that is no longer useful. Crowns are also used to cover teeth that are a different size or shape than the surrounding teeth, and teeth that are discolored. In some cases, they can be applied after other dental work, such as root canal or implants. Bridges are often used when missing teeth need to be replaced. If you do not want a traditional implant for a single missing tooth or have lost multiple teeth, a bridge can be the solution. Bridges are available in both fixed and removable options. A fixed bridge is cemented as a permanent solution. Removable bridges are similar to traditional dentures. They must be taken out regularly for cleaning. With appropriate home dental care and routine visits to the dentist, crowns and bridges may never need to be replaced. However, the choice between a crown and a bridge depends on your specific situation. Crowns are appropriate if you need to enhance one or more natural teeth, while a bridge can be helpful if you are missing natural teeth. Dr. Walters is ready to answer your questions concerning dental work. 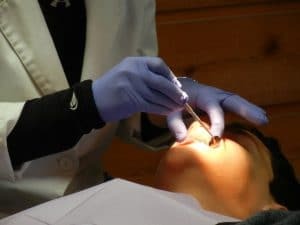 Whether you have one or more natural teeth that are not in ideal condition or have gaps from missing teeth, make an appointment for a consultation. You can have dental work to restore your appearance, confidence, and oral health. I’m glad you talked about some different things that a cosmetic dentist can do. I’ve been wanting to get our teeth fixed for a while, and I think that being able to read about some options would be good. I’m going to have to talk to my dentist about bridges vs. crowns and see what is best for me! I’ve been looking for some good dental crowns. I’m glad you talked about how crowns go over the natural tooth, which I think is what I need. I’m going to have to look for a good dental crown and see what we can find!